East Rutherford, NJ – Oh Mr. Wilson, where art thou have been? No, I am not talking about Mr. Wilson from Dennis the Menace, I am talking about the guy they call “Turbo”, David Wilson from the NY Giants. We haven’t seen this much excitement on kick returns since… since…. Dave Meggett. The New York Football Giants have maintained a one game lead on the NFC east by beating the New Orleans Saints in a rout to a score of 52-27. David Wilson, the 32nd overall pick in the 2012 NFL draft out of the University of Virgina Tech, was a major contributor in setting a team record for all-purpose yards in a single game; 327 total yards and 3 TDs. In the first game of the regular season, Wilson received a handoff off tackle and fumbled. He was automatically sent to the dreaded Tom Coughlin “dog house”. Coming out of the draft, many experts said that he would have trouble picking up the blitz and continue to have fumbling issues at the NFL level, they were right! Although Wilson was in the doghouse, he was still given an opportunity to showcase his “world class” football speed in handling kick returns; did TC get it right on this move? ABSOLUTELY! Not only did he get RB duties; 13 carries, 100 yds, 7.7 avg, 2 TD’s but on kick returns, Wilson amassed 4 Returns and 227 ret.yds, 56.8 avg. He was clearly the difference maker for the Giants in which the team did not play well overall. Drew Brees (26 of 43, 354 yds 1, TD, 2 INT) was able to slice and dice the Giants secondary at will but was to little, to late as the Saints were behind by three scores late in the game. The Giants front four will need to tighten up; as the Saints got within eight late in the third qtr. and gave up another 100+ yard game (142 yds) to them as well. Something to think about Gabbers; what if the Saints weren’t down by three scores in the fourth quarter? I believe the Saints would have been able to continue to gash the defense, both running and passing and possibly win the game. If the Giants want to make some noise, they will need to stop the opposing running game and allow that front four to do what they do best; SACK THE QB! What about Ahmad Bradshaw? Is this the beginning to an end for Ahmad? Was he out because of the hot hand in David Wilson or was he having injury issues again? Turns out, Bradshaw injured his left knee in the 1st half; hence Wilson’s production in the end. Some very important issues to keep in mind for the next couple of weeks. If I were Tom Coughlin, pending the health of Bradshaw, I would continue to sprinkle Wilson in the offense and just let the man RUN. 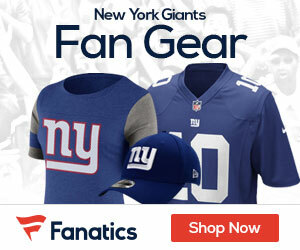 Fantasy football purposes: Continue to roll out Eli Manning, Victor Cruz, Hakeem Nicks and Martellus Bennett. Bradshaw; keep tabs on his health situation and insert Wilson as a flex play. If you get points on return yardage; he probably hasn’t even been removed from your starting lineup. Good post, very excited about David Wilson. Where have the Monday’s Thoughts and Musings gone? Bring them back please. Big L – thanks for reading my article; appreciate it. I have just recently been added to the Giants Gab team. I will be sure to put my ideas and thoughts in that column as well. yeah, I look forward to reading more of your work. What are your opinions about how we should use Wilson in the passing game? The reception he made on the Barden holding play was cool. Well we’ve already seen what Wilson can do in space…and Gilbride has seen it too (we hope, lol!!) The passing game is so intricate and heavily based on option reading with the WRs and TE. What makes him so dynamic on top of his speed is that he can run inside and break it to the outside which makes him a complete back in my opinion. Wilson will definitely be used to create space in the passing game (creating mismatches against the LBs)via screens and swing passes to stretch the defense and now that he will get more touches, defenses will need to account for his speed. His speed just opens up Gilbride’s playbook for more dynamic plays. Wilson had 13 carries not 30. So, I’m unsure of what would happen if forced to carry a larger role because not everyone is Adrian Peterson. Of course, I’m not putting it past Wilson. But lets not get too ahead of ourselves here. The bulk of his yards came in the second half while he was fresh and everyone else was depleted. I hope we leave things the way they are and re-access player contributing roles in the off-season. I’m more curious of what will happen when Brown returns. Wilson, like Bradshaw in 08, will probably head back to the bench. Jeremy P – first thanks for reading my article. Second, where do you see 30 carries? I never typed that my friend. Now to dissect your points.. no one here is claiming him to be AP because he is by no means in the same breath to AP. AP is having a phenomenal year considering the injuries he had to endure during the off season last year. The crux of this article was to make a case of what Wilson can do when he has the ball in his hands; we have to give credit to Jerry Reese and the staff for getting a guy like Wilson. Of course, the Giants won’t throw the “book” at him because that would be counter productive for the Giants as well as for Wilson’s development going forward. As far as Brown goes; what a breath of fresh air! Brown has been a great addition to the team and I hope that he will come back from his injury but really though, with all that time out; do you think he can contribute like he did in the 1st half of the season? It really depends on his recovery time and Bradshaw’s injury situation. Remember, Giants got Lumpkin and Torain for a reason! I personally don’t see Brown being as effective as he was in the 1st half of the season. Until then, keep giving Wilson the rock and let him develop. first, my 30 carry comment was an attempt at a sarcastic exaggeration to show there is no need to fix what ain’t broke(in hindsight I should have been more clear, my bad!). Too many times do teams drastically alter what got them where they were opening Pandora’s sh!t box. I agree with all your points. Wilson seems to be very capable of great things similar to Charlse from the Chiefs. would you agree? Explosion plus torque; Wilson is the total package that could go along way if the Giants don’t decide to run the wheels off the wagon. I look forward to seeing how he progresses. It should be fun to watch.